There was a surplus of about $80,000 from about $1 million dollars in total receipts. It was decided by the Executive and the Convention Committees that the money be set aside as an endowment to fund special projects in the organ world. Not just chapter members, but anyone could apply for funding derived from the endowment income. Since the executive committee is busy with the operation of the monthly chapter events, it was agreed that a special committee be formed to accept applications for grants, study them, and pass their recommendations to the Executive Committee for approval. This (SPAC) committee was composed of 5 members, each having a term of 5 years, with one person joining and one leaving the committee every year. The Executive committee appoints the members but often selects a person recommended by the Dean. The people who worked on the idea and the first SPAC group were some of the 1976 convention leaders: Max Miller, John Ferris, Marshall Wilkins, Peggy Krewson, Barbara Owen and myself. Since 1977 there have been 40 different people on the SPAC. After my term on the committee I was asked to be the secretary/treasurer without any vote on the projects. The fund is now kept in the combination Chapter, Library, and SPAC account at Morgan Stanley and Carl Klein the person in charge. I am the SPAC contact person, receiving the information from applicants and sending it to current SPAC members via email (but previously done by copy machine and U.S. post office). In order to keep the group’s non-profit status the projects funded can only be ones that the public would be invited or participate in some way. The money also would not be considered for the building or maintenance of organs in churches. 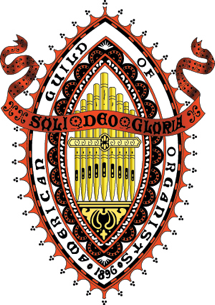 The organ (and choral) projects that could be funded include: 1) public concerts, 2) radio broadcasts, 3) research projects 4) publications, 5) music commissions, 6) educational projects, 7) recordings, and 8) scholarships. In arriving at their recommendations SPAC often takes into account additional money raised by the applicant from other sources. The procedure to select projects involves filling out a form describing the project and submitting it to SPAC. The SPAC group uses email to discuss and debate the funding amount for each project, considering its importance to the organ world and amount of money available. The funding amount suggested by SPAC (if over $300) has to be presented and approved by the Chapter Executive committee. The nominal deadlines to receive grant applications are November 1 and March 15 of each year but this has been flexible. It usually takes about 2 months for SPAC to evaluate a proposal and then their recommendation presented to the Executive Committee for approval or modification. Over the years many other Chapters have used this model to manage the money received from their conventions. About 130 grants have been made by the SPAC income in 40 years, usually ranging in amounts from $300 to $3,000. The only exception was the $40,000 used to start the Chapter Organ Library where much of the endowment was used to purchase the shelves, cabinets, furniture, and to refurbish the first room provided by BU. The Library is now self-sustaining because of an endowment given later by Peggy Biggs. Other projects of note include the support of the former Chapter radio program on WCRB (which reached an estimated 10,000 listeners each Sunday for 50 years), many CD recordings, commissioned works, research for writing books, recently one about Langlais which is distributed free of charge by NY headquarters. The Special Projects money was conservatively invested (mainly for income rather than growth) and this income periodically distributed to grant applicants. The value of the SPAC fund as of 6/1/2017 was $111,156.00.